In what many observers will see as the de facto expression of mainstream U.S. Jewry’s outlook on J Street, members of the Conference of Presidents of Major American Jewish Organizations on April 30 voted 22-17 (with three abstentions) to reject the membership application of the self-labeled “pro-Israel, pro-peace” lobby. J Street secured the votes of only about a third of the Conference’s 50 members. The 42 Conference members in attendance in New York exceeded the 75-percent quorum needed to hold the vote, but J Street fell significantly short of the required threshold of a two-thirds affirmative vote from the Conference’s full membership. The result that 25 organizations either voted against J Street or abstained meant that half of the Conference’s members declined to support J Street’s application. “The Conference meticulously followed its long-established Process and Procedures Guidelines in considering J Street’s application…. The present membership of the Conference includes organizations which represent and articulate the views of broad segments of the American Jewish community and we are confident that the Conference will continue to present the consensus of the community on important national and international issues as it has for the last 50 years,” said Conference of Presidents chairman Robert G. Sugarman and executive vice-chairman/chief executive officer Malcolm Hoenlein. 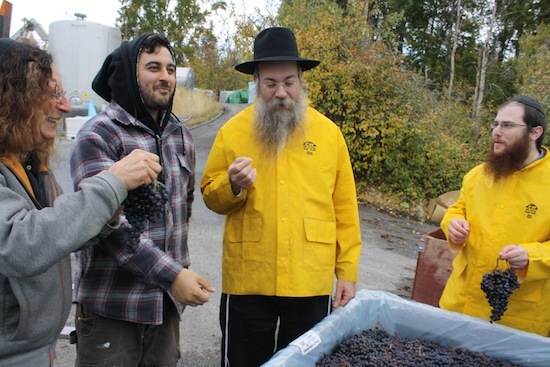 The second in a short series featuring nine Israeli wine producers features Mayer Chomer of Shiloh Winery, situated above the Shiloh River overlooking the Judean Hills. 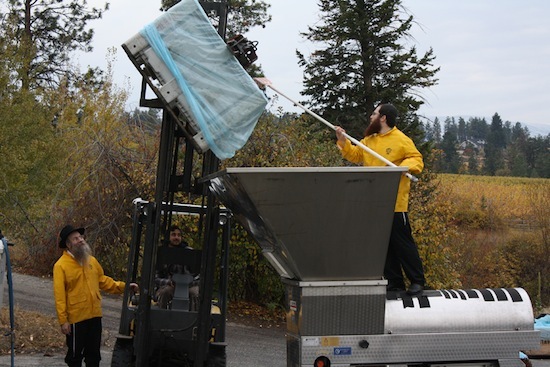 Mayer Chomer: Shiloh Winery was opened in 2005. That’s when we started running operations. We started in a very small garage, making boutique, very selected wines. I think that we’ve been making good product, good wines. Now the winery has built up to 10,000 cases and we’re growing. Yossie Horwitz: Can you tell a little about the winemaker, the philosophy of the winery, what types of wines you’re trying to make? MC: So, we started wanting to make just quality wines. We’re not interested in the volume business. We wanted to make very, very unique wines, quality wines, and obviously we wanted to distinguish ourselves from the rest of our colleagues and competitors. So, our philosophy is really making no compromises in our process: making and investing as much as we can in our equipment and, obviously, trying to be and to make always the best wines possible based on our grapes, our varieties that we have available and, you know, we invest a lot of money planting our vineyards so we can really control our quality. We’ve been just – thank God, you know – selecting good grapes based on a lot of research and making the wines that you see in the market. Thank God, people are acknowledging it by its quality. YH: What types of wines do you make? Do you make single varietals or blends? MC: We do have several series. We have the Mosaic, which is our flagship, a blend of five different grapes. We have a series that we call Secret Reserve. We have a merlot, a shiraz and a cab – straight cab. We also have the Shor series. Shor means bull in Hebrew, and the reason why we call it the Shor is because we inherited the lands of Joseph. It recognizes the bull that he slaughtered in the Bible. We also have barbera, merlot and a cab. And we have a lower blend; we call it Mor. We have a white wine, we have a dessert wine – we have all kinds of range! YH: What’s special about the terroir where your grapes come from? MC: I can tell you all the things about my terroir, but I’m going to answer you with a quote from the Bible…. The Bible says that Joseph got an extra blessing from the patriarch Jacob…. You know, many people … comment [o]n the Bible, one of them was Rashi, who was very famous, he asked: “What is so special about this blessing? Why did he [get] this land? [Does] Shiloh ha[ve] an extra blessing?” And, on this spot, Rashi answers, “Because the fruits are sweeter.” So, we have a gorgeous, gorgeous place to grow and plant our vineyards. As a matter of fact, many of the wineries are planting vineyards in Shiloh because of this quality. Outstanding quality! YH: What are the plans for the future? MC: Well, continue to do good wine, keeping the quality at all costs. And we want to grow, obviously, but we want to grow as per the request of our customers. If our demand will grow, because people will continue acknowledging our quality, then we’ll grow. Otherwise, we will stay where we are, always doing different things and new important things that can be attractive to our customers and clients. But always keeping proportions, meaning we want to be always a quality winery, as opposed to a mass winery. YH: Can you tell us a little about how you got started in the wine business? MC: To make this very long story short, I lived in Spain for several years. I was working and doing my PhD. I’m a lawyer by defect!… So I was there and, obviously, Spain is a very important wine region. And every time I would have people over to my house for holidays or for the Sabbath, I was very frustrated that I couldn’t get a good kosher wine. So, back in the [United] States, I was a little bit naïve and I thought, “I’m going to change the world! And I’m going to have just good quality wines, and I’m going to go to Israel and make a good winery.” And that was the beginning of it. YH: What other regions inform your style of winemaking? MC: I don’t know if I can answer that. I love French wines as well as Italian wines, which are very different, although they are the Old World. I really respect the New World wines: New Zealand, California. I think it’s important to have a combination of New and Old, just not be limited, but actually just making the best wine possible. We like to make wines that we know customers will appreciate, because customers nowadays start looking for something new, something interesting and attractive. At the same time, you always have that romanticism of good quality, classic wines. – This article is reprinted courtesy of the Grape Collective, an online publication for all things wine. For more information, visit grapecollective.com. Wine has been made in Israel since biblical times. The Book of Deuteronomy lists seven blessed species of fruit, including “the fruit of the vine.” Israel’s Mediterranean climate boasts many microclimates, which foster a diversity of wine styles. The modern Israeli wine industry was greatly influenced by Baron Edmond James de Rothschild, owner France’s Château Lafite Rothschild. He started making wine in Israel in the late 19th century, importing French vine varieties and winemaking knowledge, and founding Carmel Winery, today the largest wine estate in Israel. 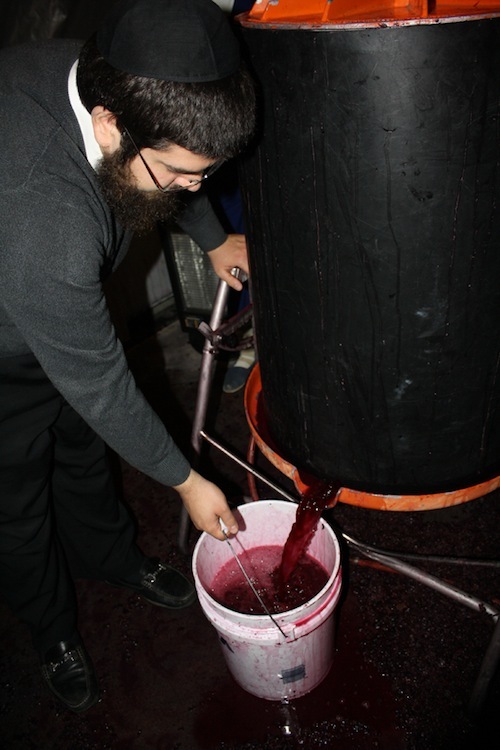 By the late 1980s, most Israeli wine was low quality, used for sacramental purposes. But the 1990s saw a huge boom in the establishment of quality-focused boutique wineries that were taking an artisanal approach. Today there are hundreds of wineries producing in aggregate more than 10 million bottles per year. Three producers are responsible for 80 percent of the production: Carmel, Barkan and Golan Heights Winery. This short series features nine Israeli producers about the wines they make, their individual path into winemaking and their terroir. The first in the series profiles Irit Boxer-Shank of Barkan Winery, the second-largest winery in Israel. Christopher Barnes: How did you get involvd in wine? Irit Boxer-Shank: Well, it’s from the family. My father used to own the winery, Barkan. Now, he’s just the CEO. CB: How did that change? IBS: I started out as the owner’s daughter. I grew up there since I was 10, so I did everything in the winery, from putting on the labels all the way to the vineyards, walking with the workers, and then the winery was sold to a bigger company. My father is the CEO. I’m the winemaker. We’re still there doing our stuff, and we love it, but it’s not family-owned now. CB: Tell us a little bit about the terroir where your wines are made. IBS: Well, because we’re a big winery, we do wines from all over the country, from the northe[rnmost] part to the south, including in the desert. We have all kinds of terroir. We have all the varieties. We do a lot of experiments. That’s what’s fun about being a winemaker in Barkan. I love it because I have fruit from all over the country. I have all kinds of varieties, and I can play all the time. CB: How many different varieties are you making right now? IBS: A lot of them, and we do a lot of experiments. We bring a lot of new varieties. There is now a malbec that is brand new. We’re going to bring it to the [United] States. Pinotage was the first different variety that we started growing in Israel, then we have marselan and caladoc from south of France. Well, we’re playing a lot with it. Some of them that are not as good, we’ll go back, and we’ll do something else, but we have a lot. Of course, the cabernet sauvignon is the king, it will always be the king, but we do a lot of varieties. CB: I interviewed a winemaker in Australia who is using 60 different varieties in his wines. I said to him, “How do you keep track of it? How do you know what’s working and what’s not when you have that many?” Is it more of a challenge to make wine with a lot of different types of grapes? IBS: I don’t think so. It’s like asking a person who has a lot of children, “How do you keep up with them?” It’s like you grow them from the beginning to the end, so you know each of the wines just like you know a person, all the way, very intimately. CB: You mentioned malbec. How do you decide if you’re going to try a new variety? IBS: It’s a long process. We go and try it in different countries. We see the soil and the climate that they’re growing it in, and the best versions of them – like malbec in Argentina, in the south of France. And then we go back home and see if there are very similar [conditions], as similar as we can in Israel, and then we plant just a small plot. If it’s good, we’ll plant more, and then there are trials in the winery to see how to ferment it and what kind of barrels to put it in. It takes us at least eight years to start an experiment on a variety and maybe take it to the market. 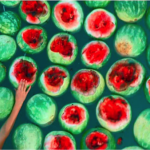 CB: Do you buy a lot of fruit? IBS: No. One of the more interesting things about Barkan Wineries is that we grow everything ourselves. We are also the biggest grower in Israel because all of the grapes are ours, which gives us full, complete control in the winemaking. CB: Do you have a philosophy of winemaking? Is there something that you feel is your stamp in terms of the process and the styles of wines that you make? IBS: Well, I discovered that we like using technology to do more of the Old World style. We’re trying to have all the fun from all the different worlds, the New and the Old! That’s something that really characterizes Israelis. We do fusions – that’s what you call the Israeli kitchen cuisine: “the fusion.” We take something from the new and something from the old, and do something from Israel. I guess, in winemaking, it’s also like that. In Israel, water scarcity has long been an issue. Even the Old Testament narrates that the Hebrews complained to Moses about the lack of fresh drinking water (Exodus 17:1-7, Numbers 20:2-13) in the arid Zin Wilderness. Whether the answer to that particular water problem came from Divine intervention or from human ingenuity or both, the fact remains that the people who populated the ancient Land of Israel figured out sustainable solutions to their water shortages. This article focuses on three historical examples of sustainable water practice. The first of the sustainable water system to be examined takes you forward in ancient history and north of the Zin Wilderness or Desert (Midbar Tzin, in Hebrew) to Herodium, a hilltop palace and fortress built by King Herod that stood securely at the highest peak in the Judean Desert. Herodium was constructed more than 2,000 years ago in 23-20 BCE. Needless to say, it was crucial to have access to drinking water in this semi-arid and elevated location, and four vast underground cisterns for rainwater and spring water were carved deep into the mountain. Three of the cisterns were built in close proximity, about 80 feet below the summit. The fourth was hewn slightly above, about 16 feet from the summit. The largest cistern could hold up to 400,000 gallons of water. Access to the three lower cisterns was via the northeast side of the mountain, close to Herodium’s only flight of steps. As the nursery rhyme states, “some like it hot and some like it cold.” At Herodium, you had both hot and cold – and more. The Roman-style bathhouse featured a below-floor heating system in both the tepidarium (warm) and the caldarium (perhaps the precursor of the hot tub? ), as well as a cold bath (frigidarium), or some kind of Roman bath/Hasmonean ritual bath hybrid, according to a Stanford professor of history. According to David Mevorah, a curator of a Herod exhibit at the Israel Museum, by installing Roman baths, the king helped spread the importance of washing to the indigenous people of ancient Israel. Moreover, at what is called Lower Herodium (apparently the high-rent district of the day), the enormous pool (referred to by local residents today as El Hammam and measuring 70×45 metres or 230 feet) functioned as a swimming pool, a water reservoir and a small lake for boating, according to historians. Today, Herodium is no longer a hilltop palace-fortress, but an amazing national park located just south and east of Jerusalem. For directions and hours, call the Herodian National Park at 057-776-1143 or visit parks.org.il. Another (though more modern) solution to water scarcity is located just across the street from the Jerusalem Theatre at 17 Marcus St. Five large cisterns once serviced the Jesus Hilfe Asyl (what later became known as the Hansen Hospital). The Herrnhut Brothers, German Christians affiliated with the Moravian Church, donated the money to build the hospital in the late 1800s. It housed and treated people who were suffering from Hansen’s disease, a bacterial disease that was misdiagnosed as leprosy. With the water collected, the 70 hospital patients (plus, in some cases, their healthy children) and the German Sisters of Mercy met all their water requirements, including medical needs, personal sanitation, in the kitchen and laundries, and for garden and farm maintenance. Under the supervision of Jesus Hilfe builders, local workers constructed the cisterns, the largest of which was probably built in 1898. When full, it held 15×15 metres of water. In late December 1902, it even overflowed. The other four cisterns were fed from rain gutters, which began on the hospital roof complex. Rain was collected from the staircase, the cistern roof and even from the road outside the compound’s high stone wall. Two cisterns were built near the laundry; one cistern was built near the southern garden while the others were situated within the main building, in the central courtyard or kitchen area. With the advent of medicines to effectively treat Hansen’s disease, the in-patient hospital closed. Over the years, it has been an Israeli Ministry of Health outpatient facility and an early-childhood development centre. At present, it is being used as a Jerusalem municipal cultural centre. Inside the facility, you can visit an informative exhibit dealing with the history of the hospital and health care in Jerusalem. For visiting hours and tour arrangements, email [email protected] or call 054-744-6123. Another ingenious water system is today located in a Ramla (or Ramle) city park. During the early Muslim period, in the early eighth century, Ramla was a strategically significant town, and served as the administrative centre of Palestine. Ramla was close to the road serving the holy city of Jerusalem and the port of Jaffa. Obviously, maintaining control of such an important location meant it had to be populated. This included providing inhabitants with a viable source of water. Entering the city park, you’ll catch a glimpse of some long, rounded structures peeking up from the ground. When you descend the steep, narrow metal staircase (that now covers the original stone) leading to the pool, you take a step back in time, into the early Muslim period. This building, however, was not just any old storage unit. This elaborate reservoir, built in 789, is decorated with heavy brick, stone arches and a domed roof. Down below, you’ll find yourself facing an underground dock. It could pass for a medieval fort or a house, except that the floor is missing. In its place, the different chambers are filled with water deep enough for row boating! Altogether, the place gives you a mini-taste of Venice, Italy, except that at Ramla’s Pool of Arches, you never see the sky. Today, we know arches make the sturdiest of structures, but this was still a novel idea back in the eighth century. Indeed, this construction proved so successful that the 400-plus-metre Pool of Arches withstood the devastation of the 1068 CE earthquake. You can see five of the original six vaults that covered the pool. Fifteen square pillars and 16 cross-shaped pillars support the vaults. Pointed arches exist between each pair of pillars. To compliment the arches, the architect designed small windows above them. These windows were likewise shaped as pointed arches. Locals drew water from 24 square openings in the ceiling. There are various theories about the reservoir’s original source of water. Some claim it was filled only with rainwater. A more compelling assertion is that water flowed 10 kilometres from Tel Gezer via Caliph Sulayman ibn Adb al-Malik’s water conduit (in Hebrew referred to as an amah). Two points are clear: (1) it wasn’t water from any adjacent spring and (2) we are talking about a part of the world that is hot and dry for months at a time. The engineering and maintenance of this cistern was so successful that archeologists believe it was actively used for 150 years. The site has a somewhat obscure history and goes by a variety of names, including the Pool of St. Helena and the Pool of Al-Anziya. In the early 20th cenutry, the British repaired the pool, but it was the (post-statehood) Ramla Municipality that converted it for boating. 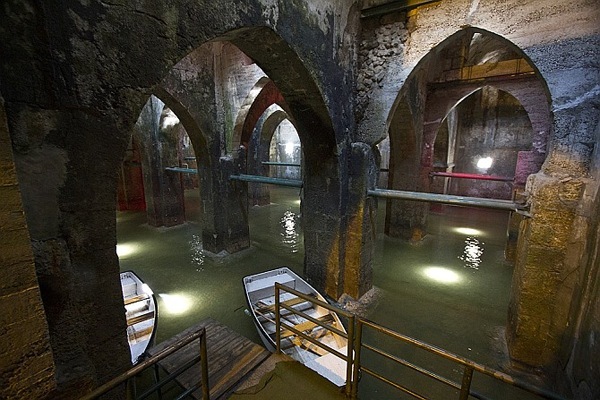 After you visit the Pool of Arches, make note of the continuation of the city’s old subterranean water system. Ancient water cisterns are located in the White Tower’s large courtyard. Visitors aged 2 and up can take a boat ride; life jackets are provided. For hours and directions, call 08-977-1595, 08-920-7586 or 052-851-0715. A helpful map can be found at ramla.muni.il/eng. Deborah Rubin Fields is an Israel-based features writer. She is also the author of Take a Peek Inside: a Child’s Guide to Radiology Exams published in English, Hebrew and Arabic (take-a-peek-inside.com). 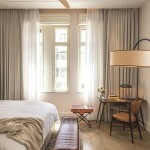 The Norman Tel Aviv (thenorman.com), a luxurious boutique hotel, has restored two buildings on Nachmani Street, at the heart of the Tel Aviv UNESCO heritage site for historic Bauhaus architecture. The newly renovated hotel’s management are also dedicated patrons of the arts, seeking to support contemporary artistic expression in Israel. When complete, the complex will be a travel destination that houses and showcases many avant-garde cultural treasures. 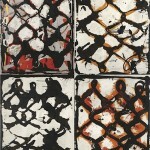 Sigalit Landau (detail), one of the artworks on display at the Norman Tel Aviv..
Tsibi Geva painting, also on display at the Norman. A room at the Norman Tel Aviv. “Tremendous care has been taken to restore these buildings to their original grandeur, preserving the eclectic style, Renaissance and oriental influences that characterize the edifice at #23 Nachmani, as well as the striking modernist architecture of the adjacent building at #25,” said Olivier Heuchenne, managing director of the Norman. The hotel – whose grand opening is planned for this summer – will sport an interior design echoing the luxury and style of the grand hotels of the early 20th century, featuring top restaurants, an extraordinary collection of Israeli artwork, an elegant library bar and the Norman’s signature world-class amenities. The art collection, comprised of more than 100 works, stands at the centre of this accomplishment, uniting design themes and creating an interactive experience for guests. Featured are works by Ilit Azoulay, Sigalit Landau, Klone, Dana Levy, Assaf Shaham and Tsibi Geva, among others, celebrating a class of leading contemporary Israeli artists whose work is exhibited worldwide. In May 2013, the first Winnipeg-donated ambulance took to the streets of Israel. The vehicle was largely donated by allocations from Jewish Foundation of Manitoba fundholders responding to an ambulance fundraising drive, with additional money from members of the general community topping off donations. Another campaign for a second Winnipeg-donated ambulance is already on its way. The Canadian Magen David Adom (CMDA) Winnipeg chapter ambulance-drive telethon was held on Nov. 24, 2013, with lead CMDA Winnipegger organizers Yolanda Papini Pollack and Sheldon Zamik, assisted by members of the CMDA Winnipeg chapter. Growing up in Israel, Papini Pollack said she had to learn early on that it is never too early to prepare for a crisis. “It’s rewarding to have a small role in saving the life of someone in need,” she told the Independent. “It scares me to think someone won’t get the medical treatment s/he needs due to a lack of operational ambulances. 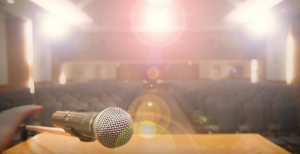 A filmmaker and educator, Papini Pollack created a short video clip to help convey the message of the fundraising drive and also spearheads the annual telethon. CMDA’s Winnipeg chapter wants to send more ambulances to Israel. Papini Pollack has received many messages from people in Winnipeg, expressing their thanks, as well as from people in Israel very appreciative of this lifesaving gift. “Hearing that all the volunteers want to ride in the new Winnipeg ambulance was one of the most heart-warming things I heard all year,” she said. The Winnipeg chapter of CMDA will continue raising awareness about the importance of MDA, while raising funds to send the second Winnipeg-sponsored ambulance to Israel. “Our goals are very attainable,” said Papini Pollack. “We already raised a large portion of the needed money needed, with hope our community will succeed again this year. Ariel Karabelnicoff, executive director of Canadian Associates of Ben-Gurion University of the Negev, Manitoba Region, first heard about the ambulance fundraising drive last September, having crossed paths with Papini Pollack at the Prophecy Conference, an event to which they were both invited to have a booth. Karabelnicoff’s current connection to MDA is through his friend’s son, Dror Fuchs, a 16-year-old who volunteers with MDA (during his free time, on weekends) in Israel. “I heard from John Plantz, a Christian Zionist who is one of the main organizers of the Prophecy Conference in Winnipeg and who is part of the fundraising campaign for the ambulance, that he is very excited that Winnipeggers successfully sent an ambulance,” said Karabelnicoff. To donate to the Winnipeg chapter ambulance drive or the Vancouver chapter ambulance drive, send a cheque to CMDA head office in Montreal (at CMDA, Suite 3155, 6900 Decarie Blvd., Montreal, QC, H3X 2TB), with mention of where you would like the money to go to, call 1-800-731-2848, or visit cmdai.org. CMDA is a registered charity and all donations will be acknowledged with a tax receipt.